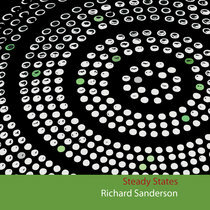 Download includes a 10 page PDF booklet of notes and pictures by Richard Sanderson. 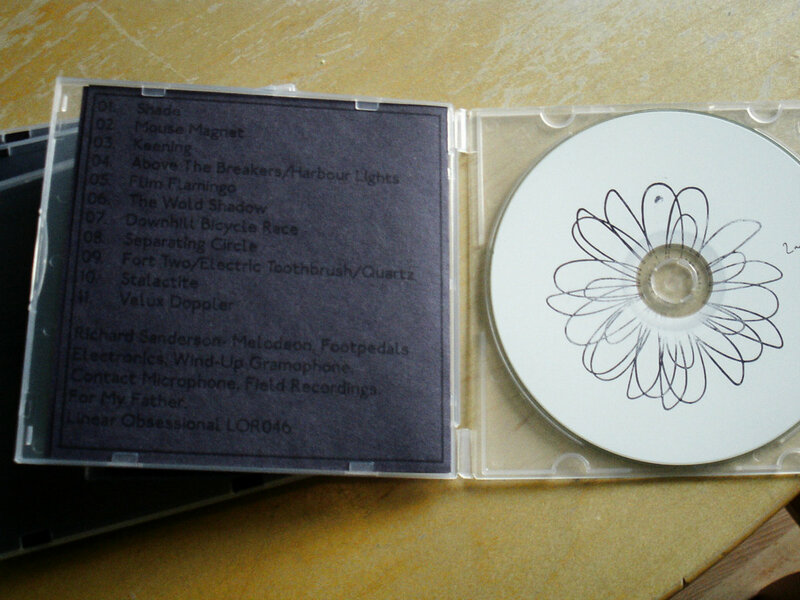 Second edition of the CDR - hand stamped CDR marked "2nd Ed" and initialled by Richard Sanderson. Sugar paper insert printed black on black, packed in a flexible "unbreakable" transparent plastic clamshell case. 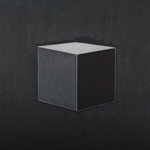 Includes unlimited streaming of Air Buttons via the free Bandcamp app, plus high-quality download in MP3, FLAC and more. 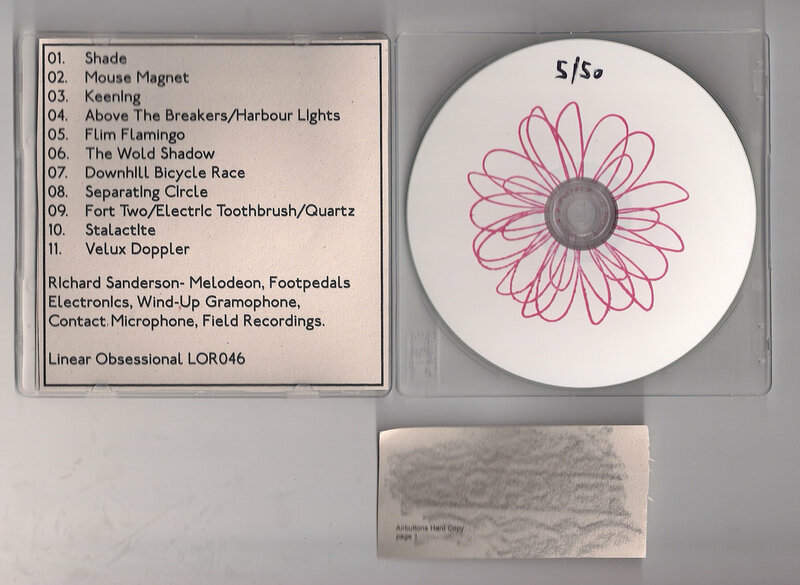 Limited, numbered edition of 50 CDRs, each hand-stamped and housed in a frosted flexible plastic case with a thick recycled sugar paper insert. 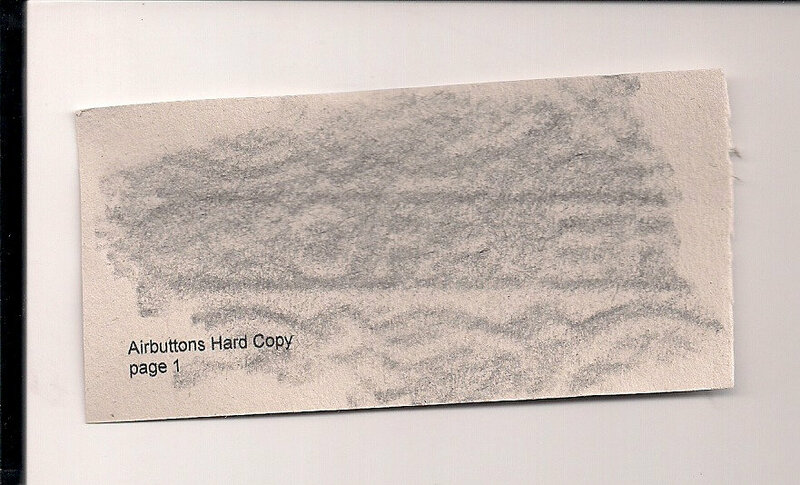 Also included is a small, unique pencil rubbing taken from the instrument used on this recording. 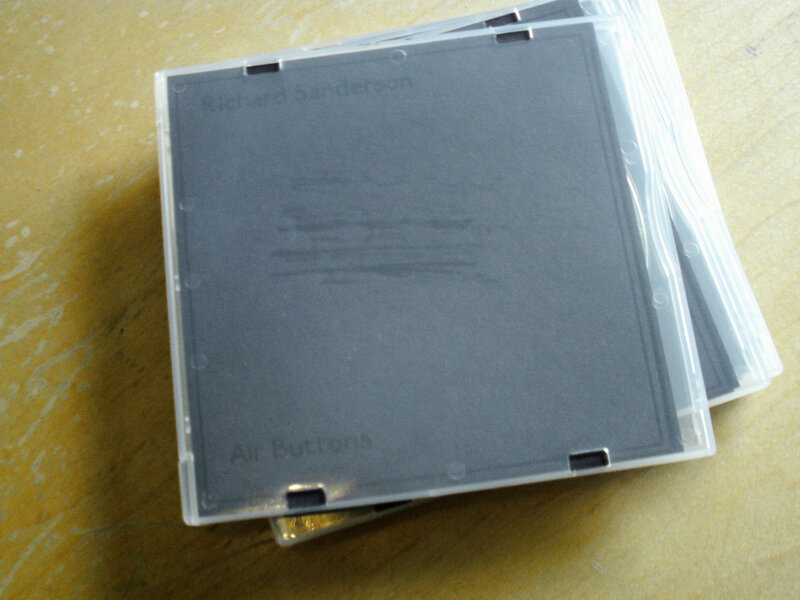 "Air Buttons" is an album of improvisations for melodeon (diatonic button accordion) and electronics. 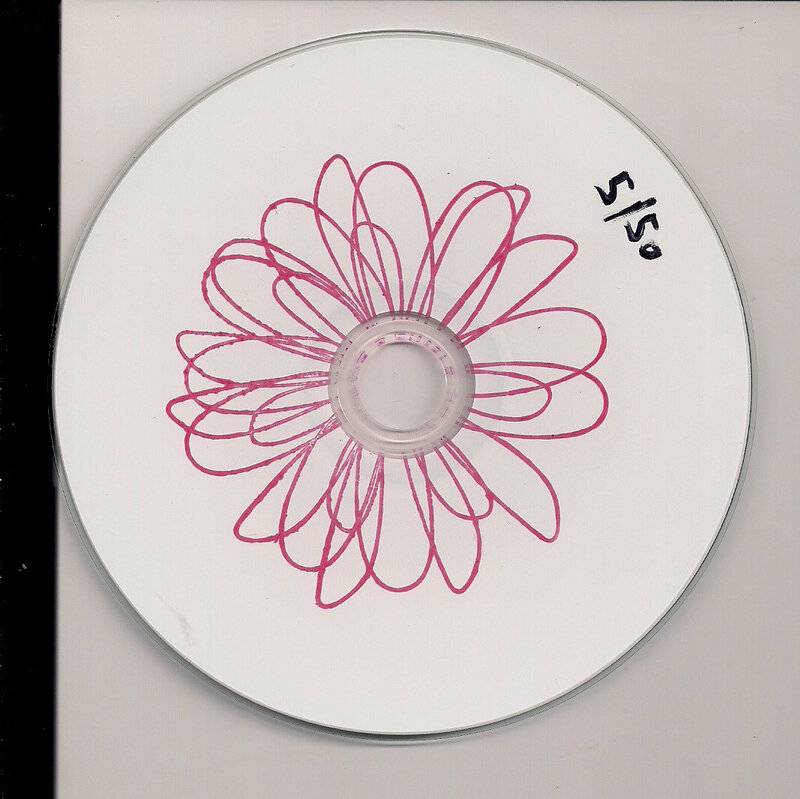 These pieces were recorded at home in Hither Green, usually on Friday afternoons when the housework was done and before the kids came back from school. As with my previous album of melodeon improvisations the instrument was recorded in three different ways – using footpedals (wah, distortion and pitch change), pushing it through contraptions made with Audiomulch software on my laptop, or augmenting it with other sounds – in this case, field recordings and a wind-up gramophone. The gramophone was recorded with a contact microphone (made by Jez Riley French) attached to the needle, or to a toothbrush. “Above The Breakers” was played on pre-WW1 one-row melodeon, all the others were played on a D/G Hohner Pokerwork two row. The title of “Flim Flamingo” was suggested by Gary Widdowfield.. “Velux Doppler” was created from two field recordings- one of Beckenham Parish Church Bells, the other of the rain falling on the roof window of my bedroom. The field recordings on “Shade” were made in my garden. 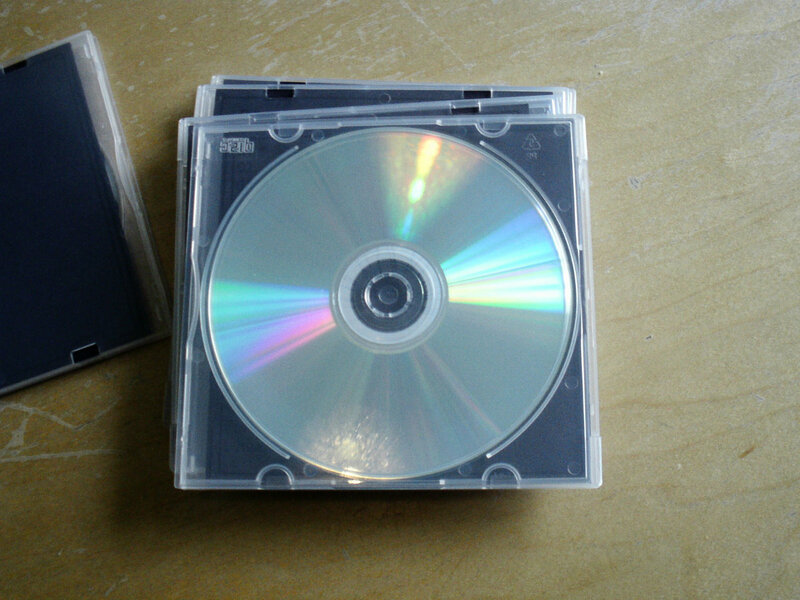 The tracks were recorded 2011-13 and assembled November 2013. Thank you for listening. 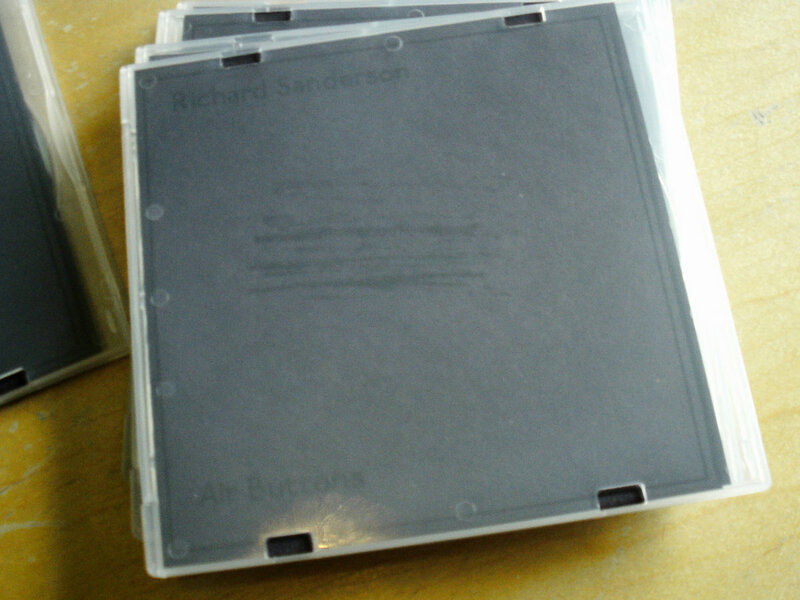 RIchard Sanderson- Melodeon, Foot-pedals, ElectronIcs, Gramophone, Contact Microphone, Field Recordings. 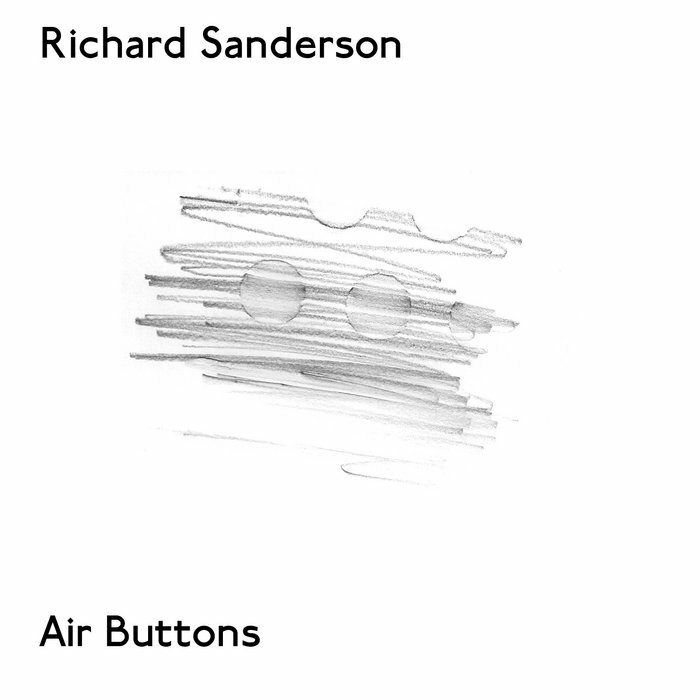 "Richard Sanderson is a Morris Dancer and an experimental musician. Here he plugs his concertina -the traditional engine of folk dance -through foot pedals and processors, producing abstract sounds that while nominally concertina triggered, are hardly hey nonny. 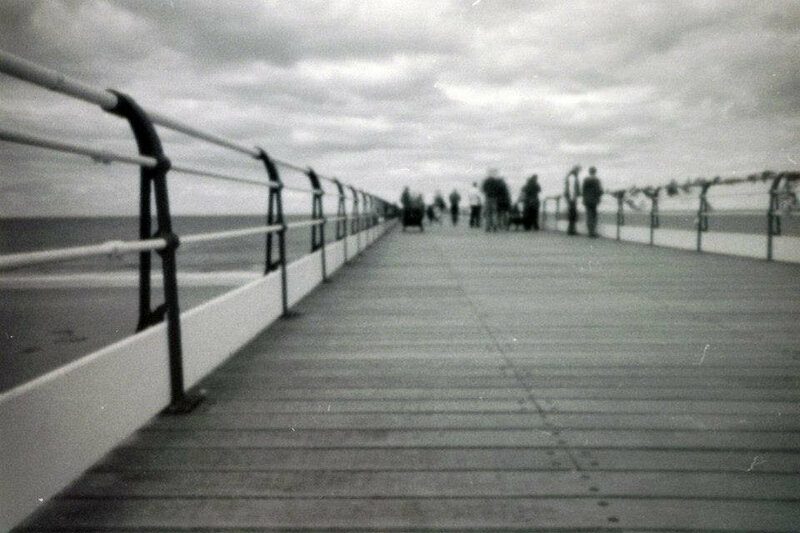 Treated field recordings of church bells and falling rain augment the self-generated source material.On "Above the Breakers/Harbour Lights" timid concertina peeps poke through rushing air, finally swelling into a starlit drone. 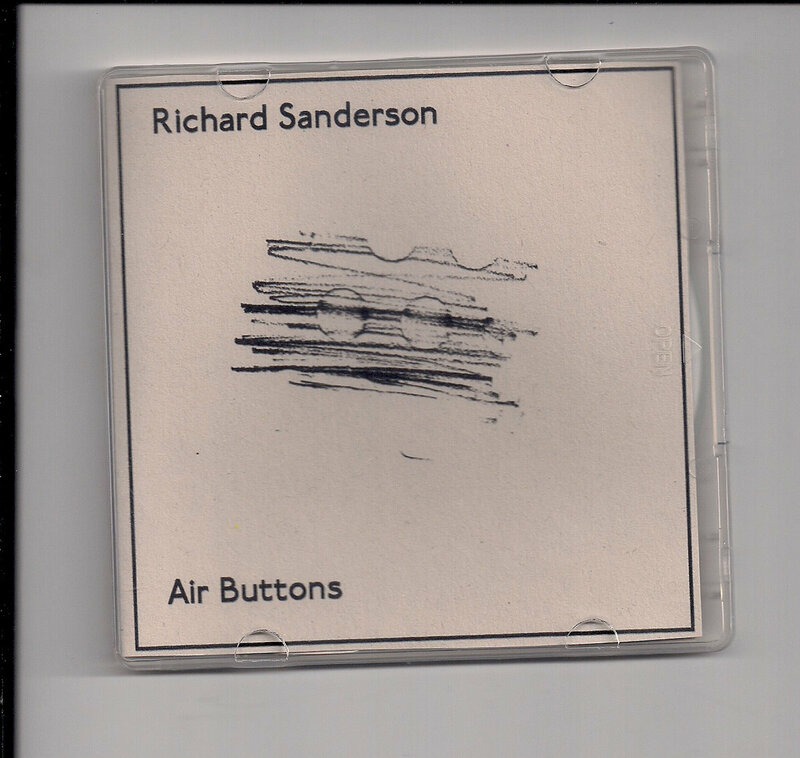 Physical copies include a bespoke pencil rubbing"
"South of the river experimentalist/home recordist Richard Sanderson’s Air Buttons c.d.r. refers to a very reductive description of the melodeon (or button accordion). But its title is but a slice of red herring, as this humble instrument; really more at home in trad folk circles and as a potential auction item in BBC T.V.’s ‘Flog It’, has, in Richard’s hands received a huge steroided boost in its sound capabilities. 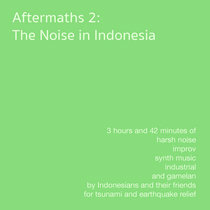 These eleven improvised works have now adopted various disguises; latex prosthetics and exotic false moustaches that only numerous foot pedals and laptop processing can achieve. And because of this… the familiar, natural voice of the melodeon appears to have become a rather infrequent visitor to these proceedings, but its reassuringly tuneful exhalations can be located on “Downhill Bicycle Race” which is a charming yet bizarre coupling where Ivor Cutler-infused playfulness eventually becomes gridlocked by a Terry Riley-informed repetitive patterning. 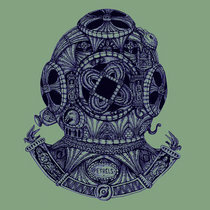 Others like “Separating Circle” march purposefully towards abrasive sonic art; its batsqueak and masticating jaw noise combination showing a particularly extreme profile, while in stark contrast, the poignant “Vedux Doppler” captures the peal of bells from Beckenham Parish Church; muted and muffled by what seems to be an approaching monsoon. Very evocative stuff! Air Buttons comes as a quintessentially English example of pneumatronics (? 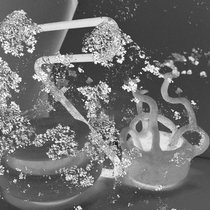 ), which can now be thought of as a viable equivalent to Pauline Oliveros/Chris Brown’s Music in the Air release." "Here’s a sentence one won’t encounter too often: ”Richard Sanderson has produced another album of melodeon improvisations.” In general, we don’t hear many combinations of diatonic button accordion and electronics. That simply means that it’s rare. But for air button aficionados (there must be a few!) 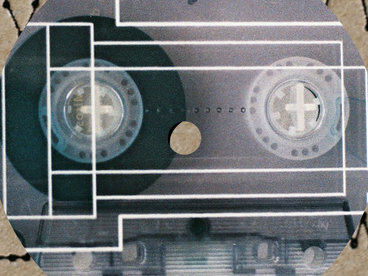 this may be the ultimate modern recording, an set swiftly followed by a remix collection. It’s obviously a labor of love, as Sanderson worked on the album “on Friday afternoons when the housework was done and before the kids came home from school.” Forget asking, “how was your day at school?” Dad obviously had the more interesting day. 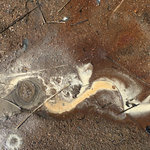 The clearly experimental album veers from gossamer-thin pieces in which the air seems heavier than the notes (“Keening”) and more fully-fledged works integrating field recordings and light drones. 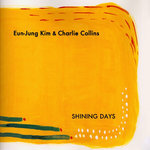 The best selections offer some unusual combinations of sound: blowing, creaking, crunching, echoing. ”Shade” seems like a duet between wind and breath, as if the melodeon were left outside in a gale. ”The Wold Shadow” and “Separating Circle” incorporate the crackle of a vintage gramophone, with songs attempting to burst through the static. 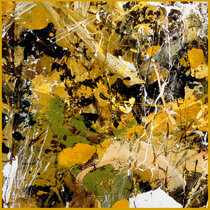 ”Fort Two/Electric Toothbrush/Quartz” unfolds in three distinct parts like an avant-garde “Bohemian Rhapsody”. 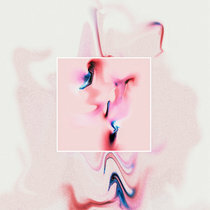 Best is the moody closer “Velux Doppler”, which sounds like the work of an artist attempting to milk sound from a soggy instrument..."
"a set of melodeon improvisations, some processed and some not. 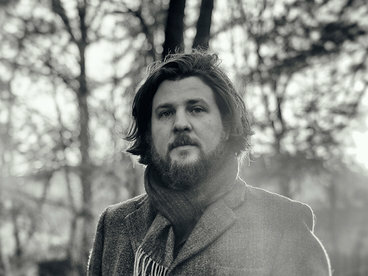 The pieces are strikingly austere and evocative, ranging from a kind of minimalist wheezing redolent of some ancient wind instrument (‘Keening’) to a cloud of shimmering, pulsing drones (‘Stalactite’)"